Australian Caravan Club members encouraged to work with drought affected areas. At the 12th Annual National Muster of the Australian Caravan Club (ACC) the Board was pleased to announce that following a call to members, and to which the Board also contributed, the Club had raised $5,000 to assist drought affected farmers. “Following the muster the ACC Board has been seeking input in how best to distribute these funds to needy farmers”, said Craig Humphrey, ACC Chairman. “Your Board has listened to members across Australia and they are telling us they want to have their say into how and where the funds are distributed. As a group of senior RV travellers covering the four corners of this great country our members have seen the devastation caused by drought.” said Mr Humphrey. To this end the ACC are encouraging their branches and individual members to identify appropriate rural community groups or other not-for-profit support organisations that they would like to help. “Some examples of rural initiatives may include a BBQ within an affected area, donation to a local charity working in an affected region, personal support of farmers through buying groceries and donating to an affected areas charity or a local Council initiative” stated Mr Humphrey. Further details on the process for accessing the funds is available from ACC Branch Secretaries. 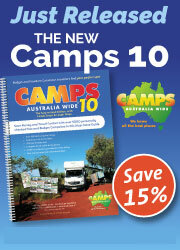 The ACC was founded in September 2006 and is now the second largest multi brand RV club in Australia. Want to use your RV more? Come and join the like minded RV travellers throughout the country like the ACC Bushtrekkers in a week long tag along through the Mary Valley in Queensland. Click here to "Join The Club Now"
This office will be closing from Friday 7th December 2018 to Monday 21st January 2019. The Board and Club Officials will be taking a break during this period. Please note only urgent matters during this time will be responded to. Following the National Muster in Denmark WA, ACC Chairman Craig Humphrey announced that the 2020 ACC Chairman’s Muster would be staged in Charters Towers QLD from 14-19 May 2020. “I am very pleased that the Charters Towers Regional Council has confirmed that the Club will be able to stage the 2020 Muster at a time that will allow those members who travel north each year to plan their attendance. I am also announcing this now to ensure that members have plenty of time to make their travel plans”, said Mr Humphrey. This will be a great opportunity for the local region, as ACC members spend up to $100 per day when travelling and, from previous Chairman’s Musters, the Club has injected up to $55,000 into local communities. The Muster will be held at the Charters Towers showground with facilities available to host at least 70 RV’s. “I am also greatly encouraged from the openness and warm reception that the Club’s representatives have received from the Council and the local community. Nothing has been too much trouble and, as we move forward, I’m sure this partnership will deliver a great muster for members to enjoy in a wonderful region of North Queensland. I must also thank the representatives of the ACC Tropical Tourers branch – Judy and Linda – for working so closely with the Council to confirm the Muster” added ACC Chairman Craig Humphrey. Charters Towers Regional Council’s Deputy Mayor, Cr Sonia Bennetto welcomed the announcement. “We are thrilled with this decision to stage the 2020 ACC Chairman’s Muster in our region. “Our region has a rich history, with many grand buildings and two national parks for ACC members to explore. Members can enjoy inland fishing, boating and canoeing on the Burdekin River, or visit the World War II bunkers on Towers Hill. “Other attractions include the Venus Gold Battery, the Stock Exchange Arcade and the World Theatre.” said Cr Bennetto. Further details of the Muster will be released in the latter half of 2019. Court rules against Kershaw Gardens Rockhampton as an overnight stop for RV travellers. The Australian Caravan Club (ACC) has been vocal on the issue of the flow on effects of the court ruling against the use of Kershaw Gardens as an overnight stop. The Caravan Parks Association of Queensland has won its legal battle to ban free overnight camping at Rockhampton's Kershaw Gardens. The Environment and Planning Court today decided that camping is illegal and ruled that overnight stays must cease on February 15 next year and all signs removed. “Interstate tourists avoiding the southern winter, traditionally travel throughout regional and rural Queensland which could be the regions most affected directly by restrictive camping issues. Many southern grey nomads may wipe Queensland off their winter destinations and will stop at the border or head to SA and up the Centre. Qld communities will lose the economic benefits their tourism brings as they head north each winter” said ACC Chairman Craig Humphrey. “The ACC absolutely respects the decision of the Court but our call is to ensure that RV travellers have a freedom of choice in options available to stay in Queensland destinations” said Mr Humphrey. 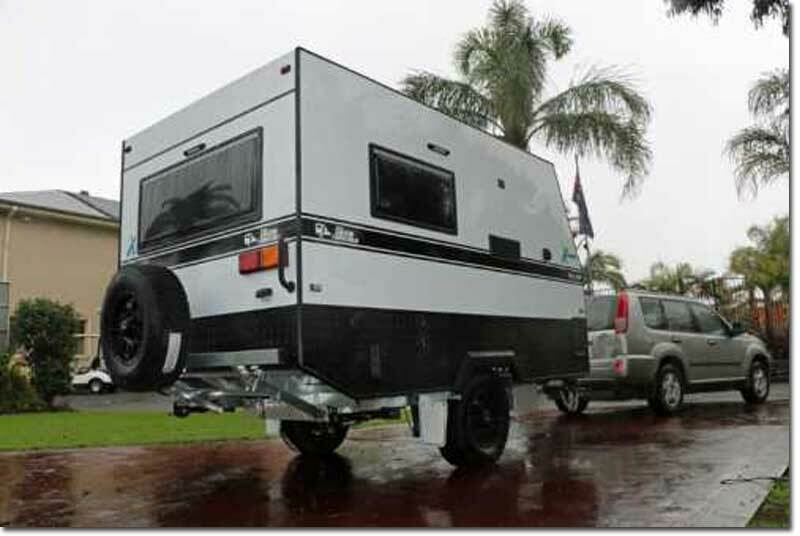 It is estimated that, at any one time, 120 000 of the 600 000 registered RVs in Australia are on the road. RV Travellers spend up to $100 per day (ACC survey) covering fuel, groceries and other necessities. This injects approximately $ 12 million daily into local communities. 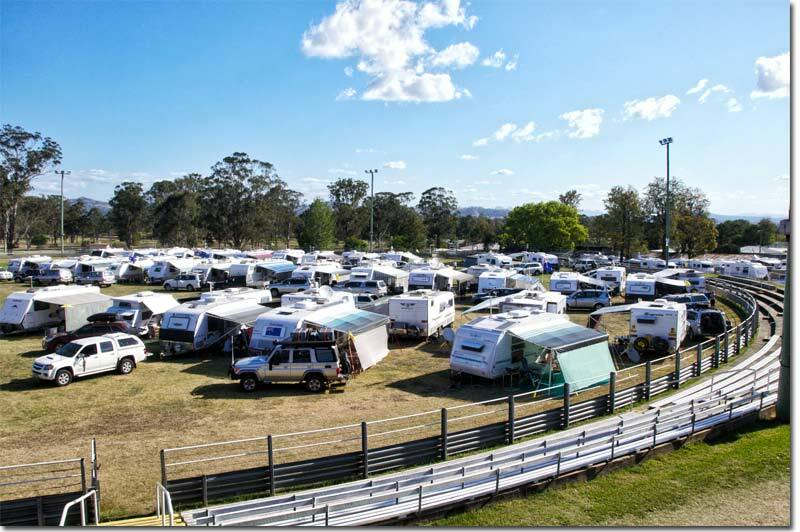 In some areas of Queensland where local show grounds offer the only option for RV travellers the financing of possible the need to upgrade infrastructure will be difficult. Issues with fatigue management if there's nowhere for RV travellers to pull up and accessing Caravan Parks at certain times of the year can be difficult” said Mr Humphrey. 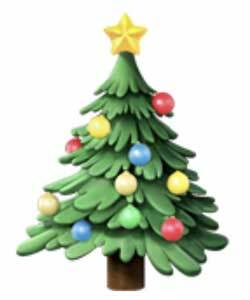 Primitive Camping Grounds are lower key than conventional camping grounds and are not required to have, for example, sealed roads, hot water or laundries. These are often in scenic locations such as in bushland, near rivers or on the coast. The New South Wales Government has such legislation operating effectively throughout their state. 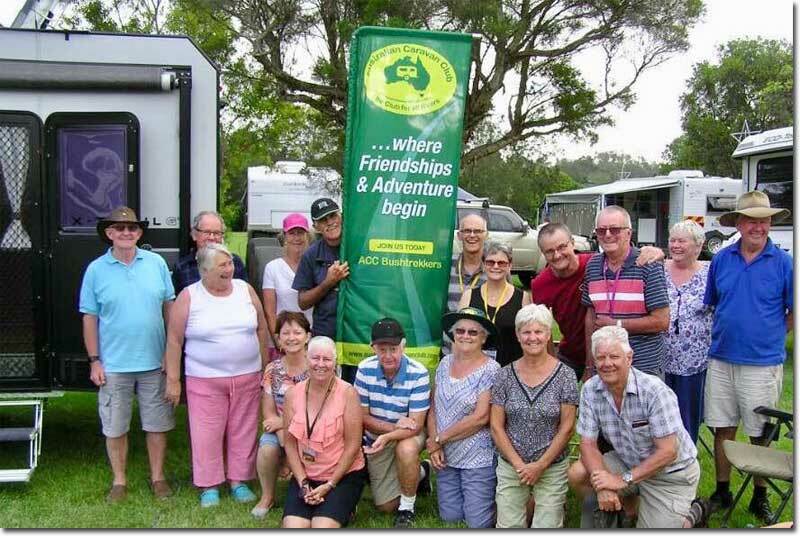 “The Australian Caravan Club calls on the Queensland Government to convene a round table of stakeholders including the relevant RV consumer organisations to work collaboratively to ensure appropriate strategies are developed for regional and rural areas continue to attract RV travellers who may now bypass these areas as a result of the Kershaw Gardens decision” said Mr Humphrey. 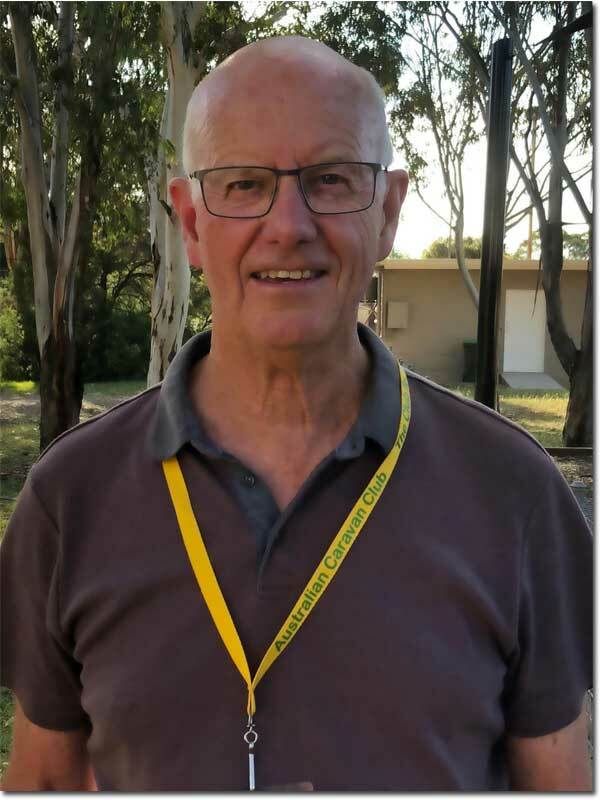 The Australian Caravan Club (ACC) today announced that John Snell from New South Wales has been appointed as a Director until the next Annual General meeting in 2019. “I am pleased that John has accepted the invitation to join the Board as he brings a wealth of professional experience and RV knowledge to the table. John Retired in 2011 after 44 years in the financial services industry spending the last 30 years in a legal support role for retail and business bankers. Together with his wife Kathy they immediately took up caravanning and joined the ACC. “said ACC Chairman Craig Humphrey. “We have had a vacancy for a number of months with current Board members carrying additional duties and this appointment brings the Board to 6 as per the constitution. John will relinquish his ACC Golden Westerners Branch Secretary role from today and immediately fill the Board position” said Mr Humphrey. “I have held roles as Vice President and Secretary for many years in the ACC Golden Westerners branch. Also In 2013 I joined the ACC policy team undertaking research for a number of ACC initiatives” noted Mr Snell. John has spent his life living in Sydney and besides caravanning enjoys spending time with their two married children and five grandchildren. “John’s appointment, along with fellow director Deb Bott’s election at this year’s AGM adds a great depth of experience to the Board as they both have spent many years working in and around the Club. As I constantly say the strength in our Club is the members and thank both members for joining board” said Mr Humphrey.